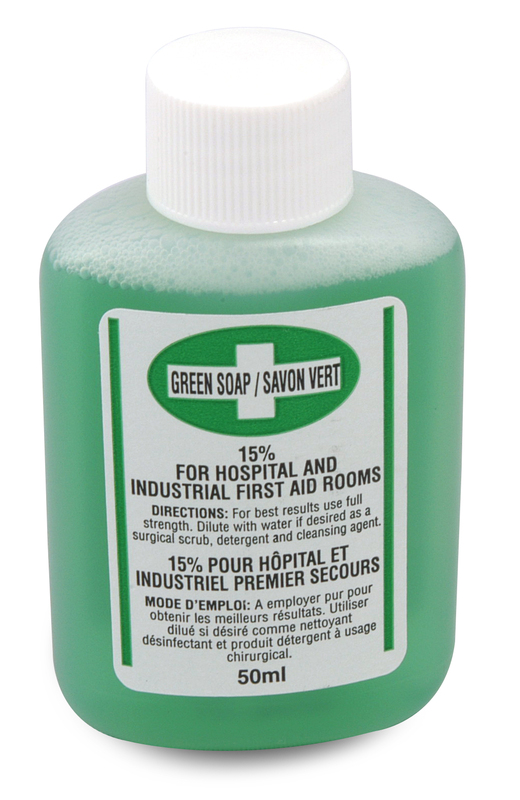 First Aid Supplies - Green Soap 50ml - Canada Wide Delivery! This 50 ml green soap great when soap is not avaible the fit easily in to any first-aid kit. Can be used for wound or hand cleansing will help prevent infection and cross contamination.